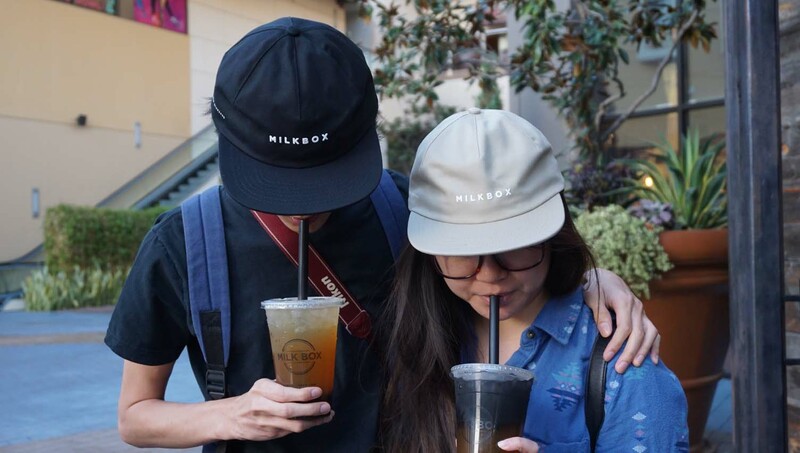 [GIVEAWAY] Why I Go To Milk Box To Sip Milk Tea When I'm Thirsty - EAT WITH HOP! 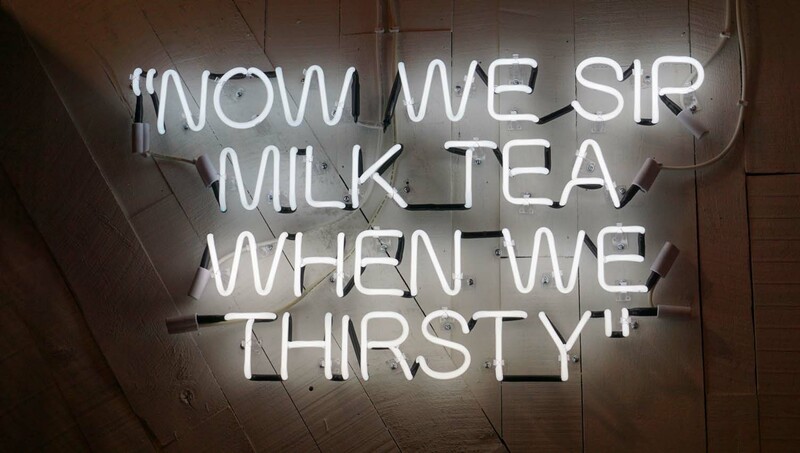 Milk Box is hands down one of my favorite places to get milk tea. I love their commitment to high quality teas and memorable customer service. Not only do their drinks taste high quality with REAL INGREDIENTS (none of that sticky fake sugar stuff) but they always hand me my drinks with a smile! Makes me just wanna come back all the time! There was even a time when I bought like 4 drinks but had my hands full. They also ran out of drink trays and one of the workers offered to walk me ALL THE WAY TO MY CAR carrying my drinks for me. SO HELPFUL! They sure know how to give you 5-star service. Although they don't have a wide variety of drinks like many other boba shops, they know how to keep it simple and specialize. And I think that's why they are able to hone their skills in mastering the art of teas. Because they have a focus. 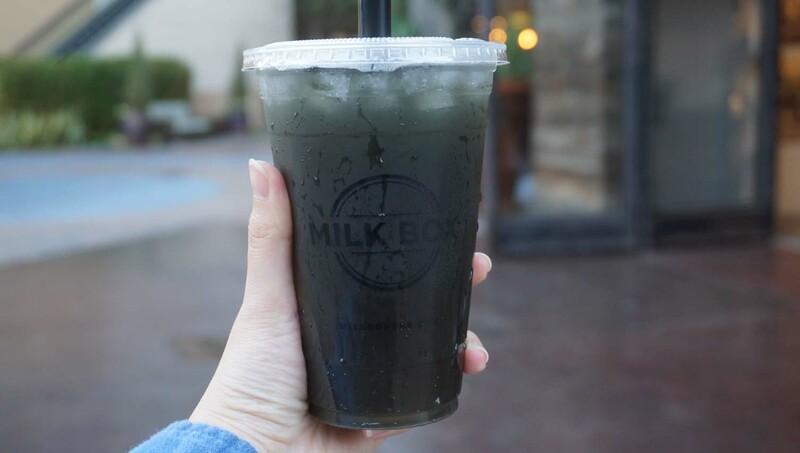 Matcha, is one of my favorite drinks ever, and Milk Box stepped it up another level by adding the specialty drink Black Sesame Matcha! They currently have a new drink I saw on the menu when I visited literally yesterday... Iced Orange + Matcha Tea! I haven't tried it yet but hope so soon. I am actually a bit skeptical on this drink because I had the same combination from American Tea Room in Newport and it wasn't good there. I'll update y'all on Milk Box's version once I try it! So I would say this is one of their more trendy and hipster additions to the menu: activated charcoal. It is actually pretty cool that they even offer this, as activated charcoal is very trendy nowadays. I am seeing it everywhere! I like how when you add it, it makes your tea drink grey. So...I could drink a tea that matches the darkness of my soul....hehe. But anyway, I've tried it before and only taste a bit charcoal-ness which I can't really explain the taste, but it's kind of... smoky? musky ? IDK! LOL! Kevin personally didn't like the activated charcoal since he is more sensitive to it's taste and thinks it tastes weird. Anyway, the fact that they are staying true to their concept yet try to be innovative is what I like! There is just one drink with a high price here which is the $23 ceremonial matcha milk tea. I am not sure if the price is justified and I haven't even tried it yet .... xD But I have had ceremonial matcha in the traditional setting (in Japan during a tea ceremony) and I love ceremonial matcha! I think to truly taste it's rich flavor, it would be best to drink it straight up with just a bit of water without any milk added. GREAT NEWS, MILK BOX IS EXPANDING! 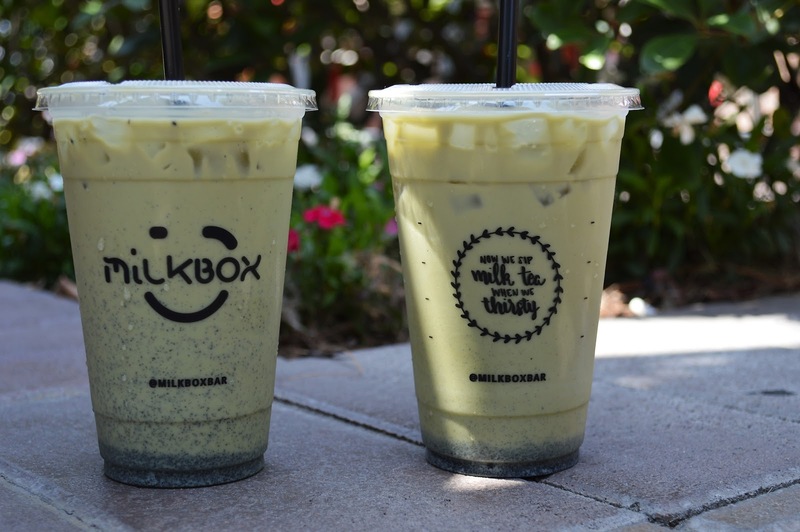 With locations already in Mission Viejo and Tustin, Milk Box is moving up north to Westminster! Yes! 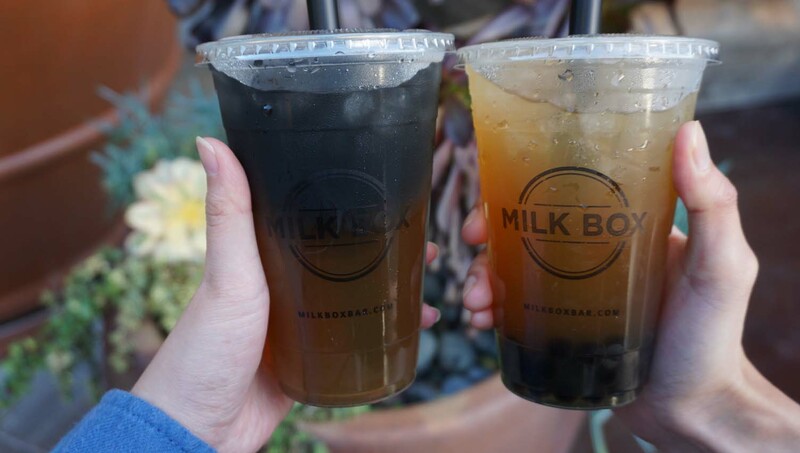 That's where most of all the boba spots are in Little Saigon, but I think Milk Box can beat out the competition! I am so excited for their opening in Westminster because it will be so much closer to me!! they literally use a fabric strainer or something like that for the sesame! I love how strong and powerful the sesame is! This IS HANDS DOWN my favorite place to get Chai Milk Tea! It is strong in flavor (but not too strong like the legit Indian restaurants because even I can't drink those) and really hits the spot! I love the smell! Even my friend from Germany loved it and said it was the best she has had! The mustache is basically what appears on your face as foam forms above your upper lip leaving a white mustache! The mustache cream is actually a almond cream. Similar to those sea salt creams from other places but the almond (mustache) cream is thick and whipped and fluffy. I am teaming up with Milk Box to give away a $50 gift card to one lucky Taste Bud! That's a lot of money! You could basically get around 10 drinks or splurge and get the ceremonial matcha milk tea! Or make it a party and invite your friends to share the gift! It's a win-win situation either way! Have you ever been to Milk Box before? What drink is your favorite ? Or, which drink would you want to try the most? 2. (Optional) Connect with Milk Box to stay updated! 3. (Optional) Connect with Eat With Hop! to stay updated! Oh, and enter the other May-Ga giveaways here!